Virtual Hosting is method of hosting multiple websites on single web server, web server might be anything of Apache HTTP,Microsoft IIS, Lighttpd etc.There are two type of Virtual Hosting in web server, Name based and IP based. With the Name based virtual hosting, we can configure multiple website on single ip address, in ip based, we can configure only one website on single ip address. 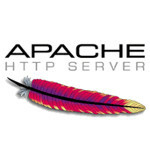 Apache supports both name and ip based virtual hosting, virtual host should configured using the virtual host container, typical virtual host container look like below. <VirtualHost *:80> – This ensures the Virtual Host listening on the port 80, change this to listen on other port. ServerAdmin – Mail Id of the Server administrator. DocumentRoot – Location of the web documents. ServerName – Domain name of the Virtual Host (like www.example.com). ErrorLog – Error Log location of the particular virtual host. CustomLog – Log location of the particular virtual host. </VirtualHost> – End of virtual host container. Name based virtual host uses domain name requested by the client to identify the correct virtual host to serve, you need to setup the DNS server to map each hostname to the corresponding IP address and then configure the Apache Server to recognize hostname. Before hosting multiple domains, you need to setup the default virtual host. Default virtual host will serve the pages to client, who’s requested domain yet to be configured or not configured on the server (due to the wrong pointing by the DNS server). Configure the DNS server to setup the Name based virtual hosting. If the client requests www.example1.com or www.example2.com from web server, client will receive the home page receptively. If the client requests other than www.example1.com and www.example2.com, client will receive the home page of the default virtual host ie. www.example1.com. Name based virtual require either DNS server or host entries to verify the configuration. From the above you can see that each virtual host configured with diffident ip address, you need to have multiple network card’s installed on the server. Name based virtual host is most widely used on the internet servers to serve the web content.